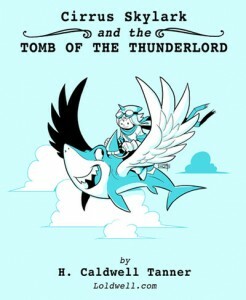 Join in the adventure of our Comics Coast to Coast interview with Caldwell Tanner of Loldwell. We talked about his stream of cartoon consciousness, his illustration and animation work with College Humor and his new personal project, Cirrus Skylark. Hold on to your dorsal fins.